It's time for that yearly tradition of reflection and resolutions for the upcoming school year. Get inspired with our list of the Top 12 New Year's Resolutions for Teachers. WALK FOR LIFE IS SATURDAY, JANUARY 9! Remember, if you signed up for our Pontiac Walk for Life team, you received stickers and can wear JEANS ALL WEEK this upcoming week! If you are able to join us for the walk, we will meet by the playground at 7:45am on January 9 at Finlay Park. Thank you again for joining our team! You make a difference! 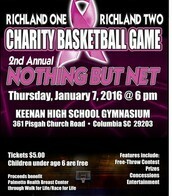 Richland One and Richland Two will take the court on Thursday, January 7 at 6pm at Keenan High School for the 2nd annual NOTHING BUT NET Charity Basketball Game! 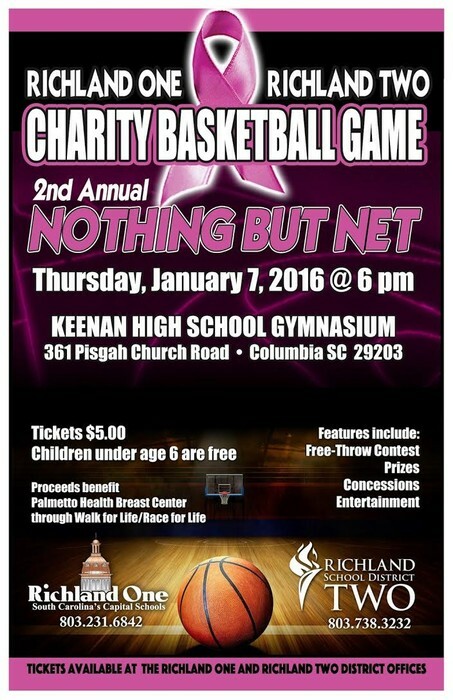 Tickets are $5 and proceeds benefit Palmetto Health Breast Center through Walk for Life. Having a professional learning network is an important step for personal and professional growth. 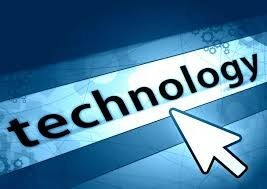 A PLN allows teachers the opportunity for anytime anywhere learning on topics that matter to them. 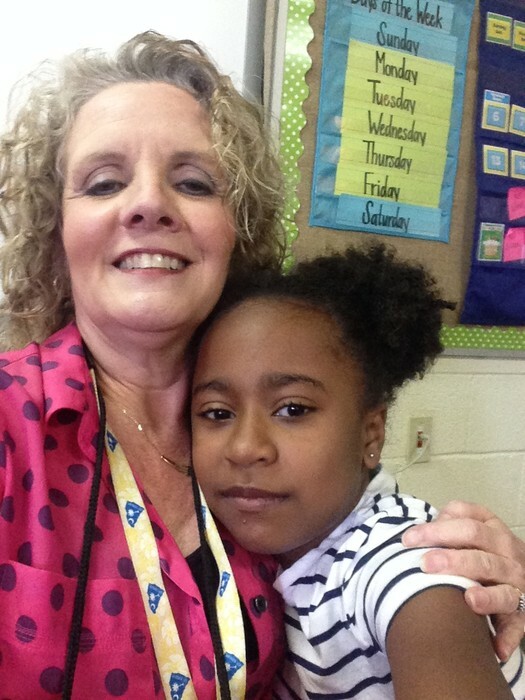 2: Use the hashtag #RichlandTwo and your school hashtag to start sharing learning that’s happening in your classroom. Lot's of you have completed this one too! 3: Encourage three colleagues to join your professional learning network. Find a Google community or someone on Twitter to follow and tell one of your colleagues to join or follow. December has been yet another exciting month at the South Carolina Department of Education. CLICK HERE for Superintendent Spearman’s monthly video that highlights important changes coming to South Carolina. These changes are the result of the passage of the Every Student Succeeds Act (ESSA) which returned educational decision making power and flexibility to states and local districts from the federal government. In mid January, Alice and Becca will work with reading coaches and the school level writing representative ( formerly known as the writing coach) to develop a training session for scoring and calibration that all schools can use to train their teachers. ASSESSMENT WINDOW: January 25-29, 2106: Students will participate in a ninety minute block formative writing assessment in grades 3-5 at each school. All materials will be provided prior to this window so that teachers can familiarize themselves with the formative assessment through sessions with their reading coach. Information related to additional time for completing the assessment, materials we will use, paper/pencil vs. chrome book and other details will be shared prior to this assessment window. All assessments will need to be completed by January 29th and turned in to the reading coach. SCORING WINDOW: February 1-18, 2016: Calibration sessions, rubric training, and scoring of all student writing in grades 3-5 will take place during this window, All scored writing assessments will be turned in to the reading coach and scores entered into the spreadsheet by the afternoon of February 18th. Reading Coaches will meet on February 19th to complete calculations and reports for their school with Alice, Becca, and Dave. Reading Coaches will complete and share school reports with school administration and teachers after February 19th. Conversations, grade level meetings, and professional development will then be provided to inform and support classroom writing instruction. 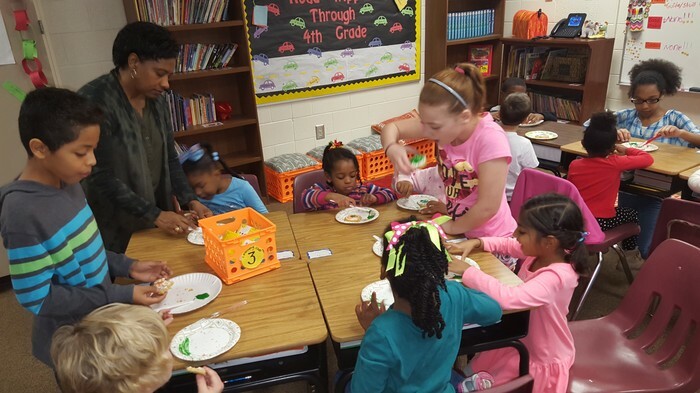 Mrs. Williams and Ms. Lybrand's Kindness Buddies decorated cookies together prior to Winter Break! 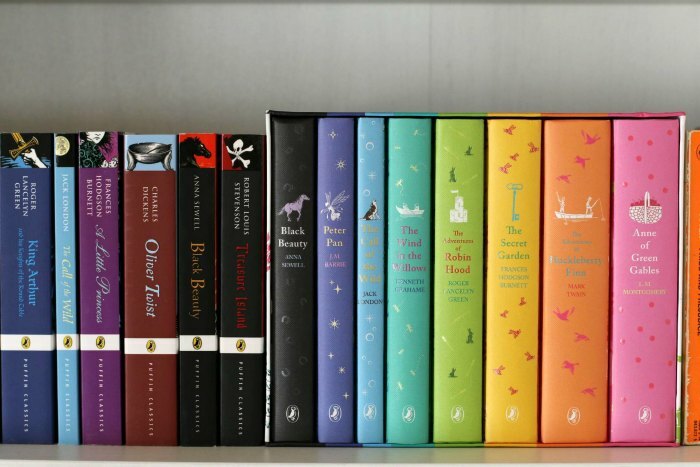 Reading is fun for everyone! 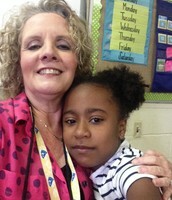 Mrs. Haltiwanger read a fun story to Ms. Yarbro's class and they enjoyed a fun activity together! Congratulations to Jordan, Justin, and Landon! They announced over Winter Break that they are adding TWO TWIN BOYS to their family in 2016! A LOOK AT OUR WEEK AHEAD! I hope you all had a excellent Christmas break! I have been so appreciative of all the thoughts and well wishes from you all for both myself and my twins. My family and I are so excited about these new additions and that is why I have had to make a very difficult decision. My pregnancy has had some complications that are going to require me to remain out for the remainder of the school year. After speaking to my doctors, my family, and Dr. Barber I feel that this is in the best interest of my health as well as the twins. The condition they believe that I have is known as vasa previa. Feel free to google it however the biggest thing with this is that going into preterm labor would be life threatening to myself and “baby A”. In my pregnancy with Landon my water broke unexpectedly at 33 weeks 2 days while I was at school. He came 3 days later and spent 18 days in the NICU. With twins you have a higher chance of preterm labor therefore they will be monitoring me very closely and will require me to go on early bed rest and hospital bed rest followed by an elective early c section at around 34 weeks. I am sharing this with you so that you are not left wondering what in the world happened to me. I also want you to know I have struggled with this decision. I love being at Pontiac and so many of you have become such wonderful friends to me so it saddens me to know I won’t see your smiling faces in the halls. I, however, do not write the future and have no idea what continuing teaching would do as far as stress on myself and the babies and I am not willing to take that risk. I am so appreciative of all of your thoughts and prayers and I am putting full trust in God to see me through. 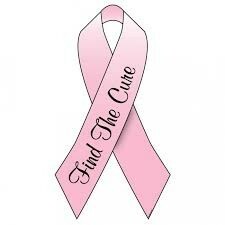 I go to the high risk OB on Wednesday and that is when they will be able to confirm the diagnosis (still praying it’s not there when they check) and then give me an official plan. Feel free to email me on private message me on facebook and I will also be keeping Katie informed. This, however, is not something I want to be shared publicly on social media so thanks in advance for allowing me to keep this as private as possible. Try Tellagami in your classroom! This app that allows you to create a quick animated Gami video. It's simple! Customize a character and choose a background then record your voice or type a message for your character to say! Book reports. News Show. Endless possibilities.